This was an interesting week. We found ourselves engaged in a lot of service this past week which was a blessing for sure. We actually resolved that our focus is going to change. After much consideration we are going to put a greater focus in service and working with part member families. So the fact that we got a bunch of service right when we resolved to focus on it was an indication that we are on track. The nice thing to was that every service opportunity resulted from someone asking us for help. We already have two service projects lined up. Our goal is to get different people we are working with to help us with the service projects. A person that we are working with who really came along this past week is a girl named Shy. We have taught her the first three lessons already and she reads the Book of Mormon during her bus ride to work everyday. She told us that she has fallen in love with the book and that it has opened up her eyes to so many things. We invited her to be baptized at the end of May and she asked if she could do it sooner and set a date for the 16th of May. It was really awesome. She has already started teaching other people about the Book of Mormon and she is going to come to church this weekend. This Ward here is wonderful but it is really struggling in that there are 10 members who have been admitted to the hospital lately. We have an older congregation and it has been tough to try to meet everybody’s needs. However, it has been a strong motivator for us to go and work with more less actives and part member families so that we can strengthen what we have so that the ward can support growth. Elder Curran and I continue to learn from our mistakes and from one another; as a result, we feel the lord continues to provide tender mercies that move the work along. One big tender mercy is embodied in the Estrella Family. We have been able to teach Ray a few times and he is just eating it up, along with Michelle. I can’t wait to see how the gospel will continue to bless their lives. This week was an incredible week! The best part about it though was without a doubt the weekend. This is considering the fact that we had a powerful mission changing meeting on Monday, and that I got to go to the temple in Orlando on Thursday. The best part about this week was that on Saturday at 5:00 Aniya, Cheyenne, and Marquez were all baptized. It was one of the sweetest baptismal services I have ever been part of. The turnout was great and the spirit was strong. I would like to just take a minute to tell all of you about the three beautiful children we entered into a covenant with their Heavenly Father. I have been working with Aniya since the first week I got to the area. We never ceased to be amazed at how impressive she was. She was only 11 years old when we first started teaching her and she had a stronger and more doctrinal sound grasp on the gospel than many adults. She carried herself with eloquence and she stood up for what she knew was right among her peers. When she entered young women’s her talents were only magnified. Just a few weeks ago she taught the Family Home Evening lesson to a group of adult converts and she lead the conversation with grace and everyone felt edified. While we were working to the lay the ground work for Aniya so that she could get baptized suddenly after New Years Cheyenne came into the picture. Cheyenne is Aniya’s younger sister. We started the lessons over with her to help her have a good foundation of the gospel and of other restored truths. After a few weeks of working with her we finally saw the light at the end of the tunnel and looked like their dad who was baptized 4 years ago last Friday was able to finally get things lined up for them to be baptized as well. Cheyenne in just a few short weeks has shown immense growth and an increasing level of maturity. By the time the baptism came around she was bearing a strong testimony in the Book of Mormon and in the truthfulness of the church. We venturing into new neighborhoods about 5 months ago when we saw a dirt road that was off to the side that lead to some distant homes. There are not very many dirt roads in our area so it peaked our curiosity so we went walking down to find some people to share the gospel with. The first house we came to was the home of Ms. Betty, Marquez’ grandmother. We would visit Ms. Betty from time to time and about a month after we started visiting her we became acquainted with Marquez when we helped him get the Christmas lights out of storage for his grandmother. After talking for a bit I told Marquez about scouts on Wednesday night and asked if he would like to come and join the group. He seemed really excited by the idea. He came the next Wednesday and well the rest is history. 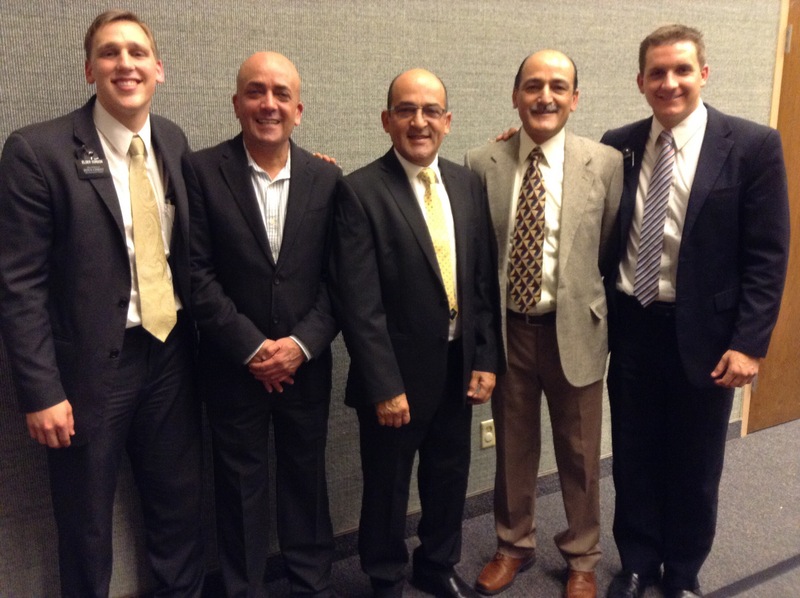 This final weekend was a battle to get everyone ready for the baptism, but miracles abounded and right prevailed. 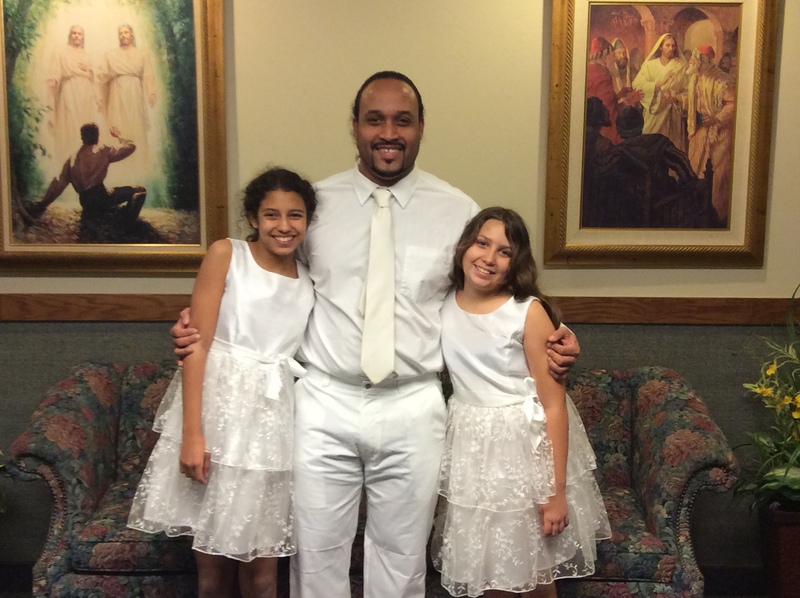 Aniya and Cheyenne’s father was able to baptize them, and one of Marquez’ young men’s leaders who has been a great example to him was able to baptize him. 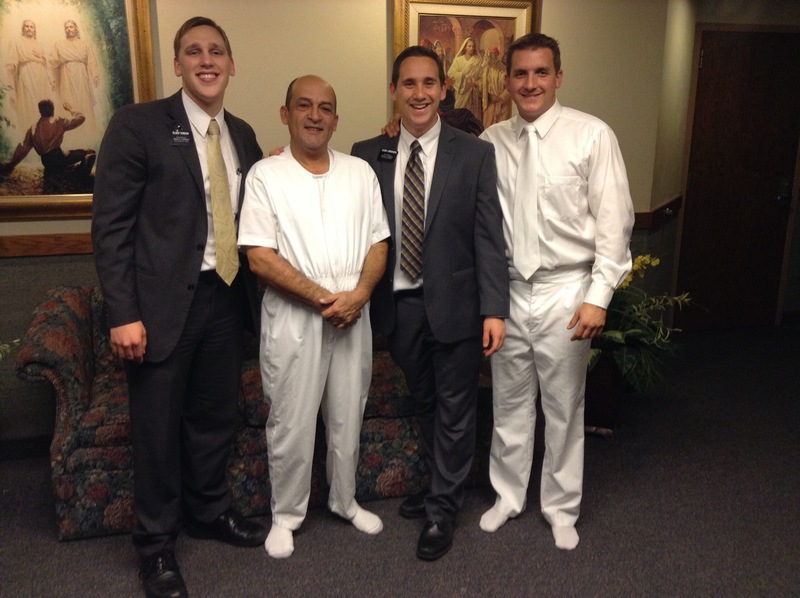 While they were all changing, Elder Jorgensen and I were able to stand in front of a large crowd of members and non members and the teach the message of the restoration while wearing our baptismal whites with the font as the backdrop. It was very powerful and probably the best setting I have been afforded to preach the gospel. I never thought that I would be able to say that I had done that. As we taught I felt the spirit speak very powerfully to my the heart that this message is indeed true and I hope that a similar witness was born to the those who sat in the congregation. On Sunday in order for Aniya and Cheyenne to be confirmed by their farther he was sustained by the congregation to be an elder and then I conferred upon him the Melchizedek priesthood, and ordained him to be an elder. Right after that he stood up and confirmed his daughters by that priesthood. Then I was blessed to confirm Marquez. It was an amazing weekend! I am so grateful to my Heavenly Father that I have been able to be part of the 3 incredible lives. I also found out that I am getting transferred to another part of Jacksonville this week Wednesday so it was a wonderful finished to an life changing experience while I served in the mandarin 2nd ward. I am excited for the amazing adventure ahead. Thank you for all the love and support you have shown me and I hope that you know how much I love and appreciate every single one of you. This weekend marked another wonderful point in my mission. Like always far more happens then I could ever truly share in a simple email, but I will do my best to capture the amazing store of at least one man. The story from my perspective really began with his daughter. She is one amazing person and I am grateful that I have been blessed to be part of her story. When I first got to this ward she had just been baptized into the YSA (Young Single Adult) ward. She had friends in this ward though and felt that she would do better in a family ward until she got her feet under her. We begun working with her though and teaching the new member lessons. Considering that nobody is perfect and that even after baptism most people have a long way to go before they are firm in the church. We worked with her a lot to help her develop habits of daily scripture study and prayer. As she strengthened her testimony the desire grew within her to share this message with her dad and her brother. If I could only describe the transformation that she has had since I have been working with her it would blow you away. Her transformation was so incredible that her Dad who never has been active in any church even though he has considered himself catholic all his life decided to join us one Sunday for church. He came for the first time last October. The spirit was so strong that he said that from the first moment he walked into the building he knew there was something different. At the same time her younger brother started getting active in the scouting program. After some time he had finally made the changes in his life to prepare him for baptism. 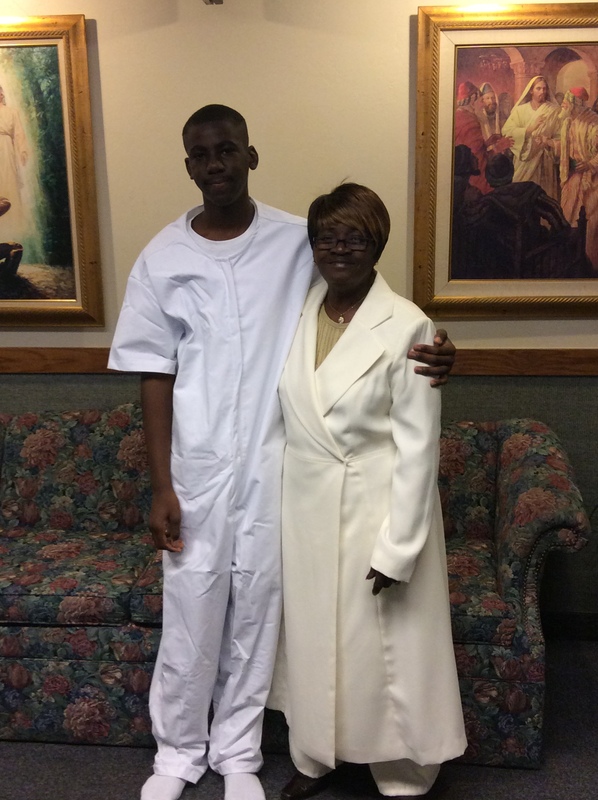 He knew right from the beginning it is what he needed to do and he understood that it would be a lifestyle change, so now that he has finally been baptized he is in for good. 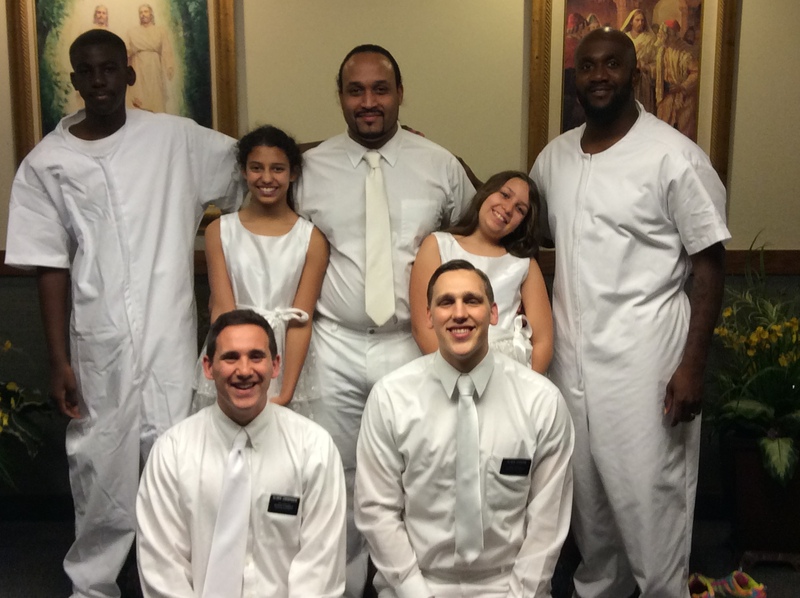 The baptism went very smoothly and all his brothers and his children came to the baptism. Even his very strong catholic mom came and very much enjoyed the baptism. 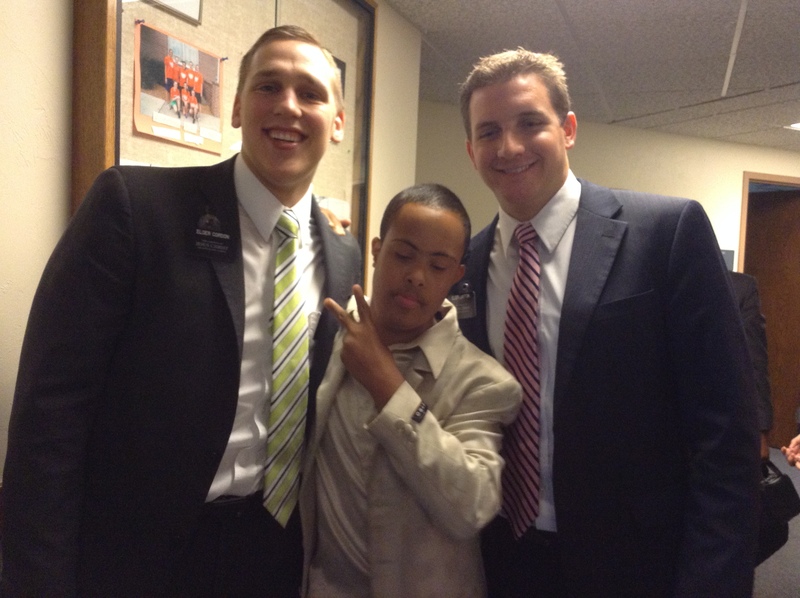 It was one of the sweetest moments of my mission. To see the father of a family that I have worked so closely with and have grown so close to finally make that step. His son David will soon follow and his son Tony has started showing a lot of interest lately so perhaps before I even know it the family will be getting sealed in the temple. It is the moments like this that help me feel that my mission has been paid in full everything else on top of that is just a bonus. I love this work so much and nothing brings me greater joy than watching a family heal and come closer together through the gospel of Jesus Christ. Truly that is what this work is all about. So I hate to bring up how long I have been out, but it is inevitable considering the fact that this transfer was a special one. This last week marks roughly the completion of 18 months. All the sisters I was in the MTC with just got home this past week. I have officially completed a sister mission. Thank goodness I got 6 more months though because I still have so much more to do here. We also switched up the schedule for the departing missionaries. This time they went home on a friday instead of a thursday. All of the coordinating that took place to make sure everyone was where they needed to be was rather intense. The phones were ringing non-stop for days. However, this busyness is what I live for, so I enjoyed every minute of it. 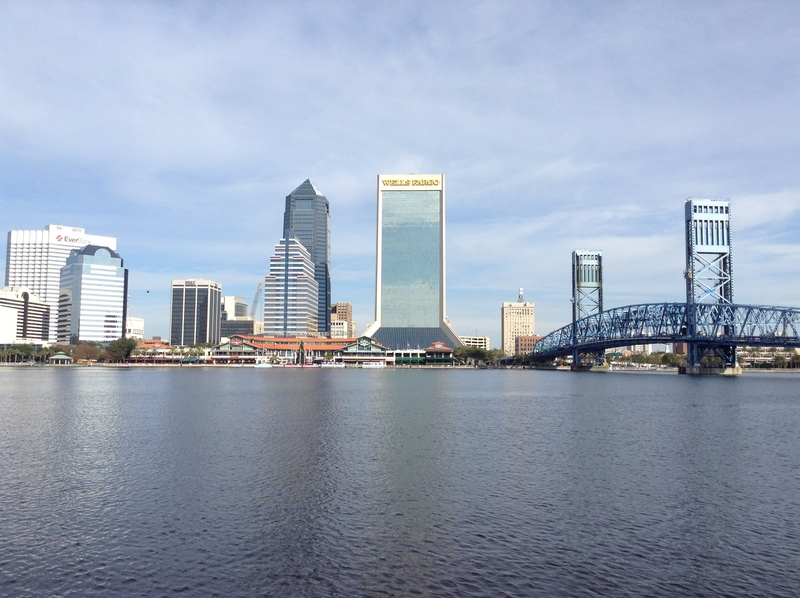 On Thursday we split the departing missionaries into two groups and then in two separate trips we took them Downtown to get a picture of the famous skyline, then to St. Augustine to do some site seeing and to be on the beach for their one and only time as missionaries. The particular beach we went to was beautiful and I think it will be a permanent stop on the final day for now on. Despite the fact that we had had something every day of the week except for the weekends that drove our attention away for most of the day we still managed to have one of our most productive weeks with teaching. We taught a lot of people this week and we have gotten a few more people to begin to really progress in their spiritual journeys. I really have no complaints about this week. One of the best parts about this week was being able to work with my trainer, Elder Newbold, again for the day on Wednesday. He went home this transfer and so we did a split and he then stayed wednesday and thursday night with us as well as some other elders. We swapped stories back and forth as we reminisced about the days in Deep Creek. We were only together for 3 months, but it seemed like it was so much longer with all that happened. We were also able to teach really well together. 15 months later we are still teaching with unity! He is from Bountiful and so he said he will be at my home coming. As I reflect on what has happened this past 18 months I truly never could have known what a mission was going to be like and what it was going to do for me. I have come to love so many different people! I may have only known them for a short amount of time, but I feel like I have known them my whole life after only one conversation. 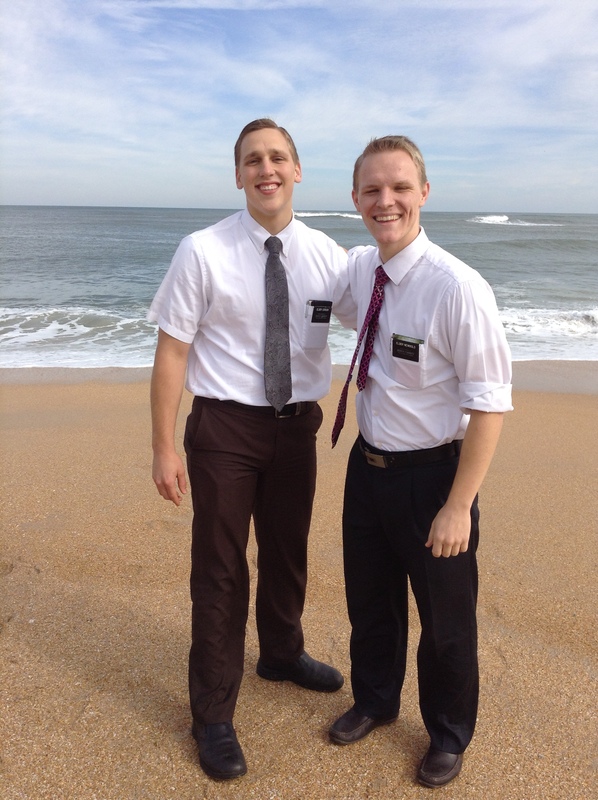 I have also created some life long friendships with some amazing missionaries that i have served. The relationships that I treasure the most are the ones I have gained with my Heavenly Father through prayer, with Jesus Christ by being his disciple, and with the Holy Ghost by acting on his promptings, I had left the mission having not become familiar a single soul (which would be impossible in our line of work) save those three only, this whole experience would still be worth it. I am so grateful for this opportunity to serve. I am so happy to know that I can serve them the rest of my life regardless of my circumstances. I love y’all! Have a wonderful week! Wow! What a week! I never feel that I can even come close to capturing all that happens in one week in these short emails. Never in my life have I had so many things happen in such a brief amount of time as I have at this time right now. And with the Holiday season there is no sign of things slowing down, which I am grateful for! Thanksgiving this year was just one jam packed day of AWESOME! We started it off with playing in the Turkey bowl. We had some awesome turn-out because we combined the Mandarin 1st and 2nd wards. We had 3 games going at the same time and so it was non-stop which was awesome. I was happy to see that everyone was good sports and we just were able to have a great time. The weather was beautiful and we were able to have two investigators, David and Marquez, join us which was great experience. I have mentioned David before, but Marquez is someone we just started working with. He is the grandson of a lady we have been visiting for several months now. He came to young mens the last two weeks and was able to come to the Turkey Bowl and has loved every minute of it. He is 13 and has a size 14 shoe. Br. 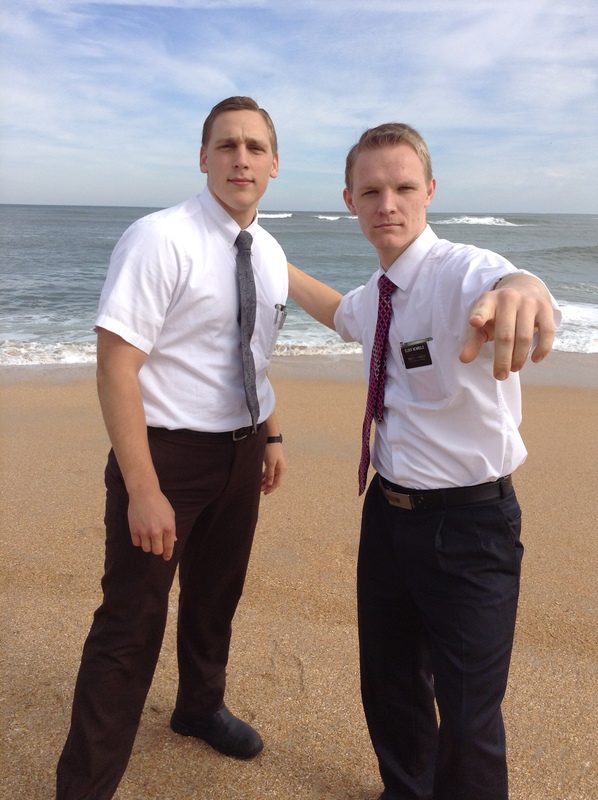 Henderson who recently joined the church a few years ago, has taken Marquez under his wing. It works out because he is able to relate having come from a rough past and he is also Marquez’ young mens leader. 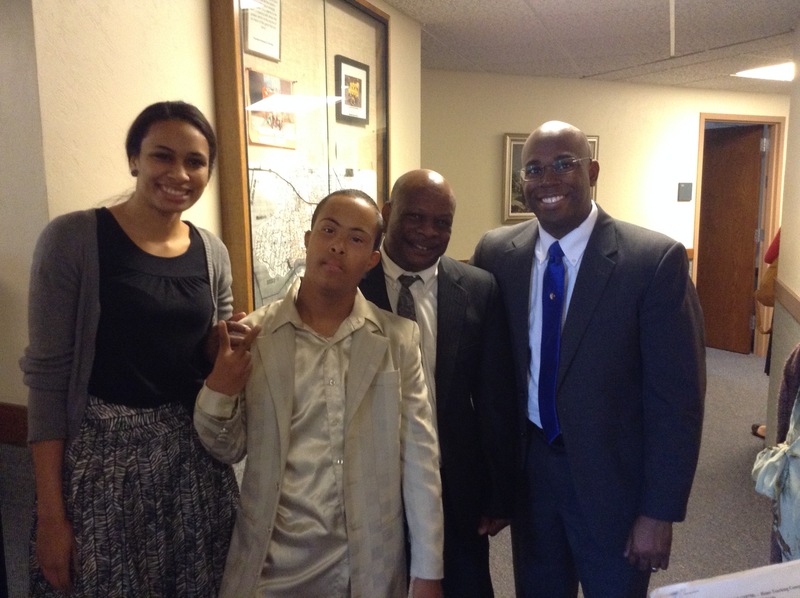 Marquez even came to church and he along with David have both become great members of the deacons quorum. Have I ever mentioned how awesome this ward is at fellowshipping. We ended up getting 4 different Thanksgiving dinners which was heavenly. Each one was uniquely delicious and very filling. I had to perform a thorough taste-test of each and every dish of mashed-potatoes to see how they would stack up to what I was raised on, and Mom I am happy to inform you that while the competition was respectable, you took the cake. 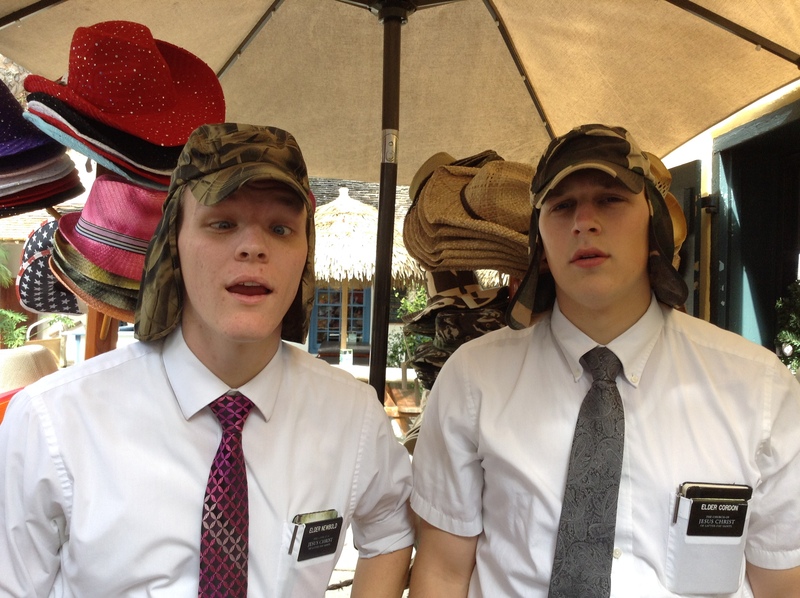 It was also amazing how each one provided us with missionary opportunities. The first we had a recent convert there with us. The second we had a part-member family there. The third had our investigators Amelia and Tyrell with us. A little note on that was that it was so much fun to be able to kinda “tag team” with Tyrell as one of us talk with everyone the other played with Tyrell and the other kids. To be completely honest I think it seemed that both of us would rather have spent time playing with Tyrell, Emma, and David than talk with the adults. And the fourth was with another part-member family that we have been working with. I could not have asked for a better day. The next presented new challenges as i found it difficult to rise from my bed. I was heavy with food and sore from football, more sore than I have ever been on my mission. After winning that battle I had the blessed opportunity to go down and do a session at the Orlando Temple. I limped through the whole thing but the spirit filled me to the point where I didn’t even notice. 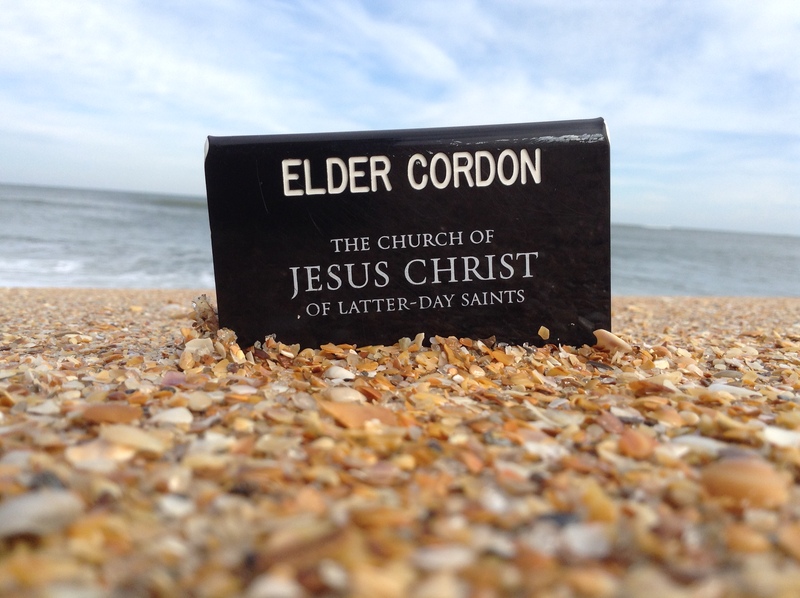 I am so very grateful for this wonderful gospel! I know without a doubt in my mind that the gospel of Jesus Christ is the way to happiness in this life and to eternal happiness in the next. I know that it makes us happy because I have seen it give peace to the broken hearted, give purpose to the hopeless, and increase of joy to those who were already living pretty good lives. I love this work so much and I pray that all of you will take time this month– especially considering the wonderful reason of the season– to find ways to serve others and fill your lives and theres with the love of God. I had something come to mind, an experience in my life that is rather simple, but it is a wonderful analogy of what it is like to come into the fold. When I was about 10 it was finally resolved that I needed to get some contacts. Up until this point I had worn neither contacts or glasses, so it was definitely a new experience. I was thoroughly convinced that I could see fine, and I am sure that if someone were to even imply that I was blind would invoke in me a very defensive response. Nevertheless, my parents who cared for me and who knew what was best insisted that I get them anyway. After getting those on for the first time it was like I had become part of a whole new world. There were so many things I had not noticed before. I remember staring at the blinds on the window and being amazing at how distinct the separation was between each panel. The smallest things of life took on a whole new level of interest for me. I remember going home and grabbing a pair of binoculars and just sitting on the porch for what felt like hours taking in the breath-taking scenes of which I had been entirely unaware and unable to behold. Simply enough, (with the pun absolutely intended) my eyes had been opened. For me this is what it is like when someone finally allows the gospel to be part of there life. While the experience of gaining a testimony and increasing in spiritual knowledge is not so instant, nor can it be captured in one simple moment, the reception of the Gift of the Holy Ghost and the opening of your spiritual eyes can be. When someone receives the gift of the Holy Ghost the scriptures are unfolded before them in a way that they never have experienced before. They will learn things and see things that they were completely unaware of. Even Joseph Smith who by the power of God was translating the Book of Mormon made the following comment after receiving the Gift of the Holy Ghost, “Our minds being now enlightened, we began to have the scriptures laid open to our understandings, and the true meaning and intention of their more mysterious passages revealed unto us in a manner which we never could attain to previously, nor ever before had thought of.” (Joseph Smith–History 1:74) I can bear testimony that this is true. For I have had personal experiences that have born witness to me of this fact. I thought of this story when we were preparing for the baptism of Kristin this weekend. It was such a special opportunity to be part of that baptism and to see her make the steps in preparation for that wonderful day. She began her journey many months ago when her twin sister came into contact with the missionaries. She was studying with them and had even planned to get baptized back in April/May sometime. Something happened with the baptism though and she got stressed out to the point where she called it off. On top of that she still had a lot of questions and felt like it was too early for her. Her and sister then went back home for the summer and when they returned to Jacksonville for school in the fall. When they returned. Her sister wasn’t actively attending any more and they weren’t really in contact with the missionaries anymore. They are really good friends with two of the recent converts in our ward though and they started coming to the Family Home Evenings that we have each monday. Then they started to come to church with their friends as well. 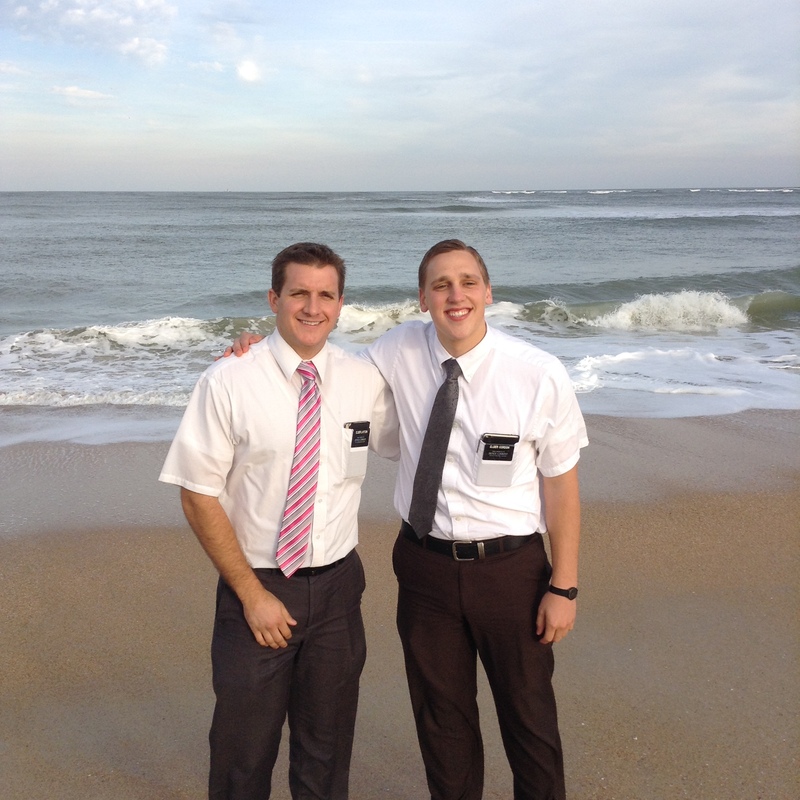 We called the missionaries that had been working with them and asked if we could begin teaching them. They hadn’t met with them but a few times and they were coming to church with us so it worked out. In only a few weeks Kristin was ready to get baptized and now her and her twin sister, Kaitlin, is back active in the church. It was a beautiful service on Saturday. Chirag, their friend, baptized her, and Kaitlin gave the talk on baptism. I am so very grateful that I got to be part of her story, even though this was all member work that brought these girls back and into the church. I would have pictures but they were on someone else’s camera and I am still waiting to get those. On Sunday we had the awesome experience of having Amelia and her son, Tyrell, join us at church. Tyrell has down syndrome so we got to spend the day at church walking around with him as he introduced himself to everyone. Children with down syndrome just prick your heart in a special way that you just cannot help but love them. The bishop found Amelia through an interesting chain of events. She just got to town trying to get away from a bad situation. She was staying at an extended stay here in Jacksonville and the previous tenet had not erased the voicemails on the phone. She thought they were hers so she listened to them. One happened to be from the Bishop of our ward. A while later she was planning on going to the parade, but she wasn’t able to make it so they went to the beach instead. Some young adults were there playing volleyball and taking pictures. She admired how well groomed and well mannered they all were. She noticed that they had written something in the sand, but it wasn’t until she had walked to the water and back that she noticed that they had written “MORMONS” in the sand. It was then that she felt prompted to call the bishop. They had an amazing discussion and we were there teaching her the next day. It is an amazing miracle. God works in miraculous ways to bring people to the truth.